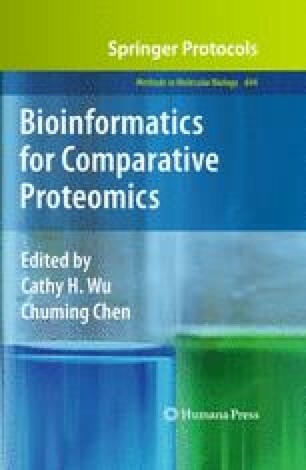 The rapid growth of protein sequence databases has necessitated the development of methods to computationally derive annotation for uncharacterized entries. Most such methods focus on “global” annotation, such as molecular function or biological process. Methods to supply high-accuracy “local” annotation to functional sites based on structural information at the level of individual amino acids are relatively rare. In this chapter we will describe a method we have developed for annotation of functional residues within experimentally-uncharacterized proteins that relies on position-specific site annotation rules (PIR Site Rules) derived from structural and experimental information. These PIR Site Rules are manually defined to allow for conditional propagation of annotation. Each rule specifies a tripartite set of conditions whereby candidates for annotation must pass a whole-protein classification test (that is, have end-to-end match to a whole-protein-based HMM), match a site-specific profile HMM and, finally, match functionally and structurally characterized residues of a template. Positive matches trigger the appropriate annotation for active site residues, binding site residues, modified residues, or other functionally important amino acids. The strict criteria used in this process have rendered high-confidence annotation suitable for UniProtKB/Swiss-Prot features. Thanks are given to our colleagues at the Protein Information Resource (PIR) and to our UniProt collaborators at the Swiss Institute of Bioinformatics (SIB) and European Bioinformatics Institute (EBI) for their support and fruitful discussions. This work was funded under a grant to the UniProt Consortium. UniProt is supported by the National Institutes of Health, grant number: 5U01HG02712-05.